Lisette is a 50's length vintage inspired spotted tulle applique dress, with contrast under skirt and narrow bow belt. 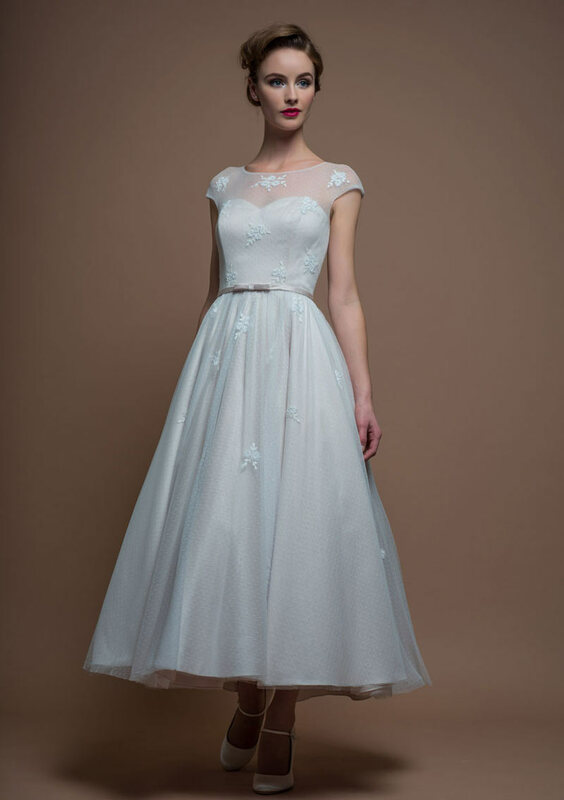 An ankle length bridal gown in spot tulle with delicate lace appliques scattered across the design. A tiny bow belt highlights the waist on this soft pink wedding dress. A pretty blush bridal gown. 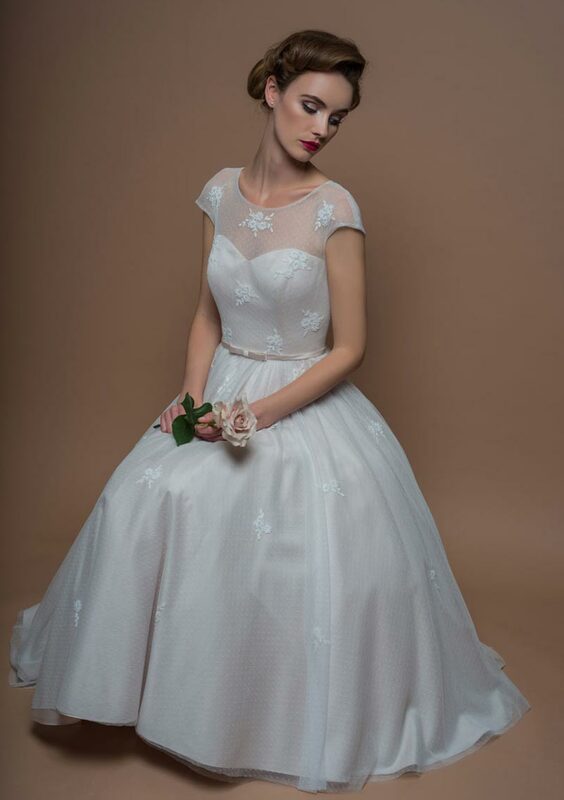 A vintage inspired, ballerina length wedding gown.